Well, Wednesday has rolled around again and it's time for a new Watercooler Wednesday Challenge. 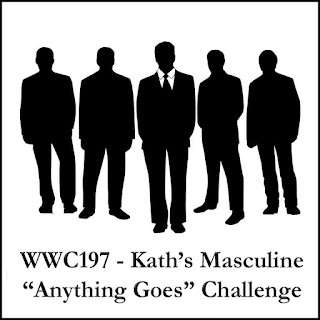 This week Kath is hosting our Masculine "Anything Goes" Challenge. For my card, I used one of those I made at the Stamp Joy 2018 event I attended in October. 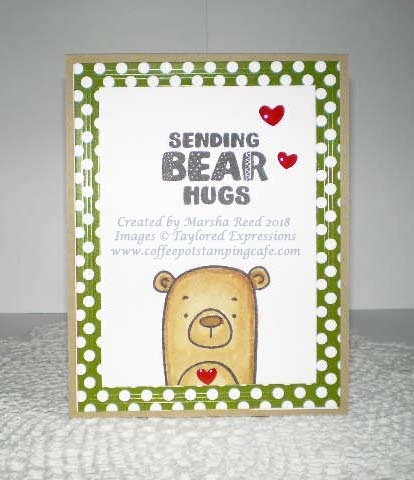 This is one of the cute make n' takes we made. The stamp set is the one we received in our goodie bag. It has some cute images on it and I know I'll be using more of them in the future. For all of our challenge details and to share your project, visit the Watercooler Wednesday Challenge by clicking the image below. We’d love to have you join us. You have until Monday, November 26th at 6:00 p.m. Central Standard Time to link up your project.